"It's all part of our 'no strikes and you're out' policy." NSW Police’s controversial new extension of sniffer dogs’ power has gotten a thorough rinsing by SBS Viceland’s The Feed. 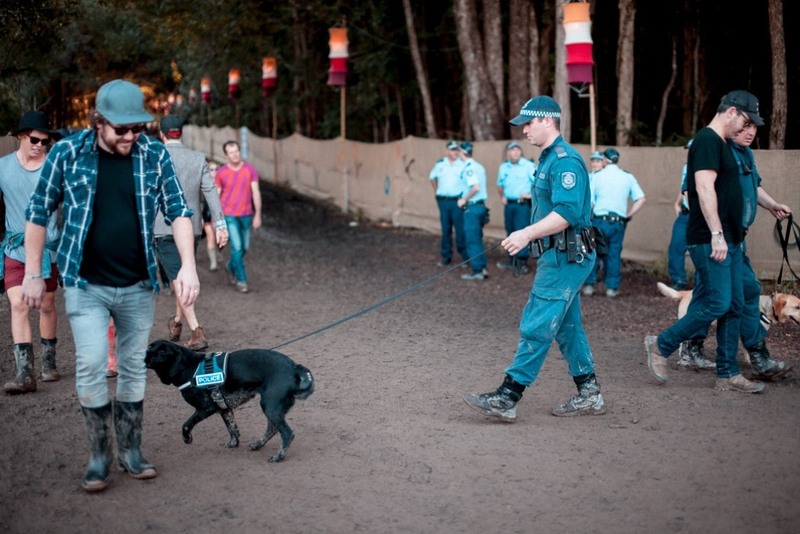 As announced on Monday, cops will now deny people entry to venues if a sniffer dog gives any indication that a person is in possession of illicit substances — regardless of whether any substances are actually found by police. The policy was poorly received by music promoters, punters and lawyers alike, who questioned the measure’s legality as a potential breach of civil rights. It’s also worth noting that drug sniffer dogs have been found to falsely detect drugs around 80% of the time, meaning that every four out of five punters identified by the dogs would be locked out of a festival or concert by no fault of their own. Thankfully, The Feed‘s Mark Humphries offered the rationale behind the change in a short skit last night — under the guise of Chief Inspector Hunch of the NSW Pinger Taskforce. 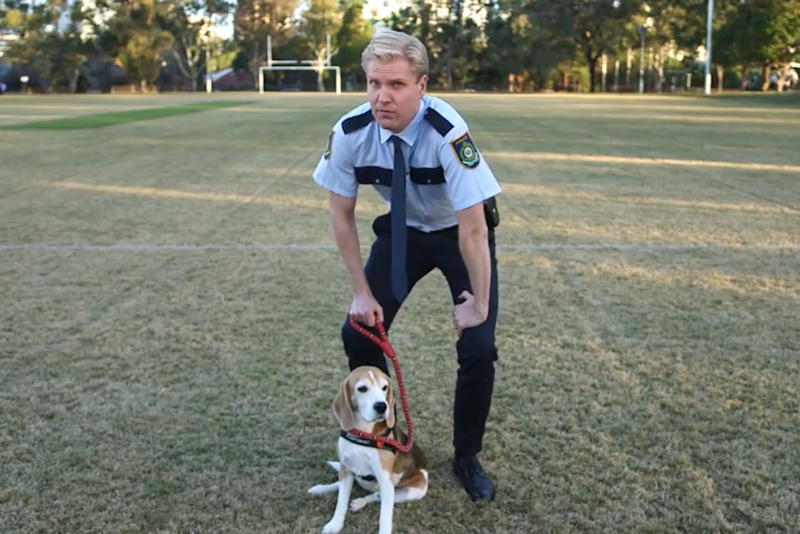 Armed with a sniffer dog beagle, Inspector Hunch walked us through the finer points of the new policy. After dismissing triple j’s Hack’s report that the laws “may not be legal” by calling them “Silk Road FM”, he points out that sniffer dogs’ 20% success rate with detecting drugs is proof enough that the dogs needs “extra powers”. Inspector Hunch even addresses the hot topic of pill-testing, a harm-reduction policy which has been proven overseas to be far more successful than sniffer dogs in reducing overdose rates. The Australian Greens are in NSW Courts today in an attempt to scale back the policy — earlier this week, Greens MP David Shoebridge told Junkee the policy was “a very medieval approach to justice”.